FORMER TÁNAISTE MICHAEL McDowell has insisted that Ireland is not a failed State and has defended the abolition-threatened Seanad claiming it costs each citizen just €1.60 per year. McDowell, now a barrister who is campaigning for the retention of the Seanad, was speaking at the Parnell Summer School in Wicklow today when he said that since independence the Irish state has been a “major success”. Author Fintan O’Toole recently claimed that Ireland was a failed nation pointing to what he said were three main failures: in the legal system, the legislature and the executive. Outgoing Ombudsman Emily O’Reilly also recently accused the government of “wielding power in a manner never envisaged in the Constitution” while Sinn Féin leader Gerry Adams also claimed that country’s institutions have turned their backs on Northern Ireland. The former leader of the Progressive Democrats also reinforced his arguments for retention of the Seanad ahead of the October referendum on its abolition, saying that arguments that it cannot be afforded are “false, threadbare, and illegitimate”. “The actual direct savings to the Exchequer would be about €1.60 per annum for every citizen, less than the price of a two litre container of milk,” he claimed. He accused “abolitionists”, as he termed them, of spending €14 million on a referendum in the middle of a period of austerity and added: “If the Seanad is too costly now, why not cut its costs now? The budget for the Seanad could be cut now without constitutional difficulty. McDowell claimed that reform of the Seanad could be done without constitutional change to allow a more inclusive electorate and a gender-balanced chamber “with persons of experience and expertise”. He also said that “corrosive cynicism about politics damages democracy” and insisted that “politicians are not the enemy”. “Politics is the process that we as citizens choose it to be. We should not cannibalise the Constitution in the name of reform,” McDowell said. Email “McDowell insists Ireland is not a failed State, says Seanad costs us each €1.60”. 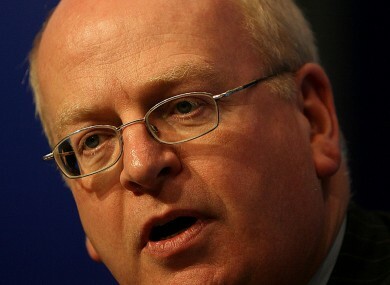 Feedback on “McDowell insists Ireland is not a failed State, says Seanad costs us each €1.60”.